Isn’t it interesting how the negative people in your life tend to spend most of their time trying to get you to join in their misery? It’s not hard to find people who can identify problems. 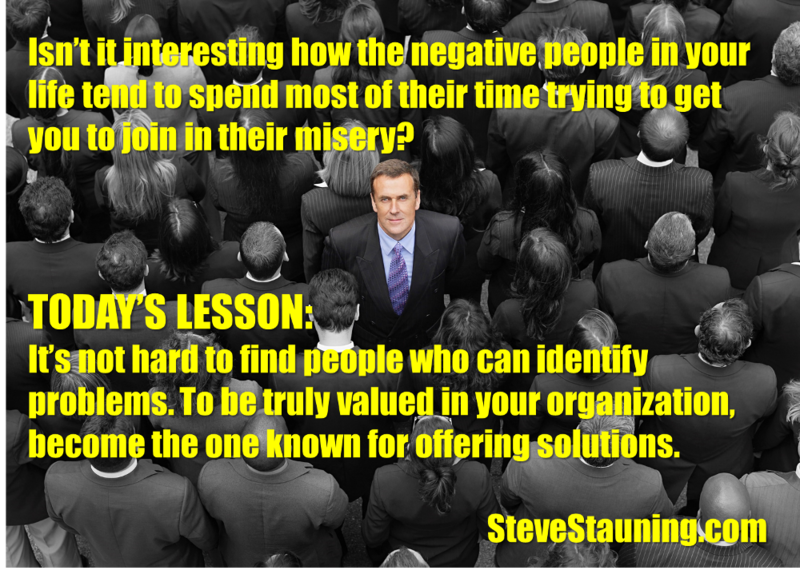 To be truly valued in your organization, become the one known for offering solutions.